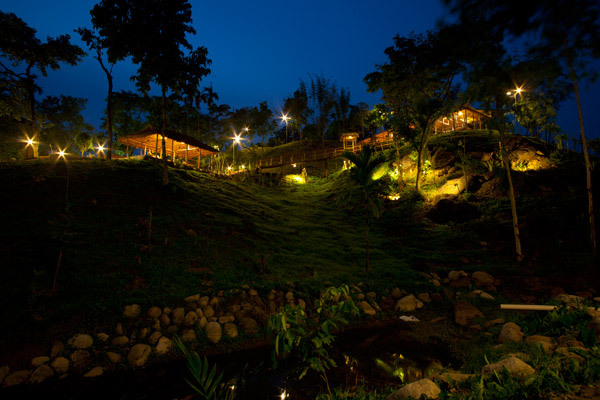 Wilderness is possibly one of the most unique "tropical" resorts anywhere. 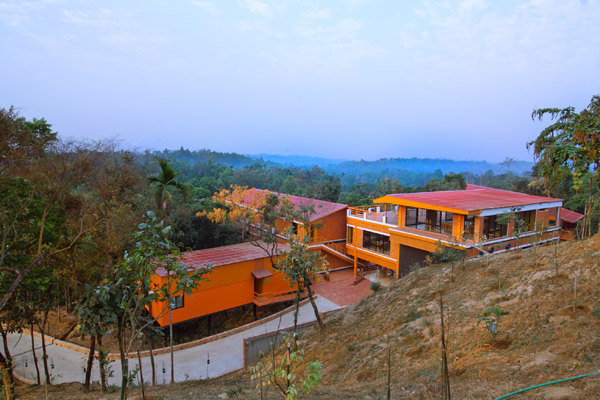 It is located at Lalakhal, in the north-east corner of Bangladesh, nestled at the base of the Jaintia Hills of the Indian State of Meghalaya, the last foothills of the mighty Himalayas. Lalakhal was once a part of the ancient Jaintia (Khasi) Kingdom of Jaintiapur, a portion of which, today, is Jaintiapur Upazila. 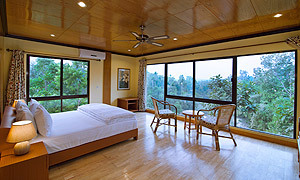 The resort is in a spectacular location where a gushing mountain river with emerald green water, lush green forests, blue skies and cloud-adorned mountains all come together. 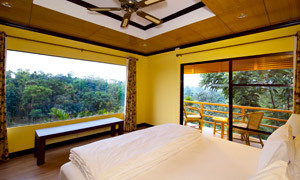 One gets panoramic views of mountains, river, hills and forests stretching as far as ones eyes can see. 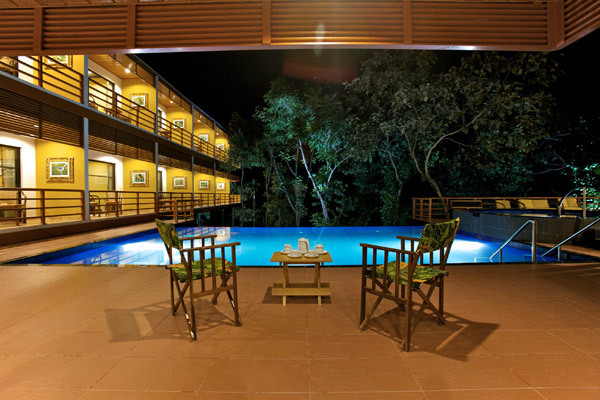 Considering that Cherrapunji, one of the highest rainfall areas of the world, is a mere fifty aerial miles away, Lalakhal is a spectacular sight, particularly during the monsoons. 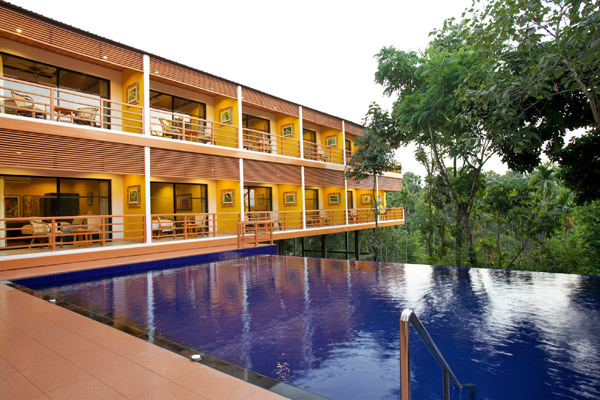 Countless shades of green, yellow and brown from the trees, forests and paddy fields mesmerise the visitor. The monsoon rains are an experience rarely found anywhere else in the world. 'Wilderness' rests at the centre of all this beauty. 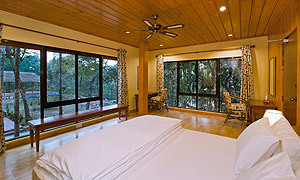 The privacy, tranquility and the sheer quietness, where the only sounds you are likely to hear are the call of the birds and the sound of silence make 'Wilderness' not just a resort, but a sanctuary. 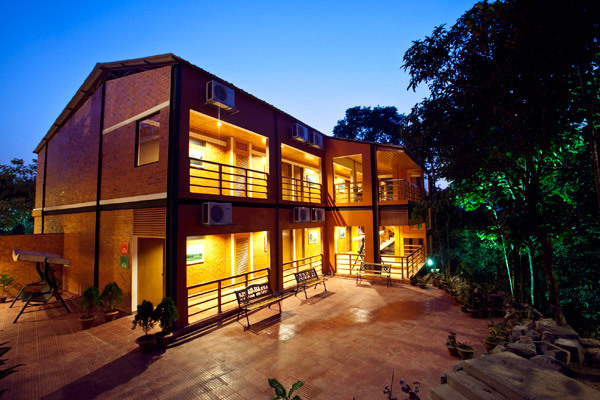 Wilderness has four residential buildings (Tree Top, Nest, Lodge & Chalet) with four types of rooms. 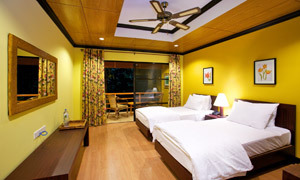 All the rooms are tastefully decorated and furnished with world class "Posturepedic" mattress of single, king or super-king size configuration. The bathrooms are luxurious with separate glass enclosed rain showers. 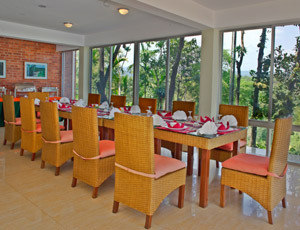 This is a large airy restaurant, commanding wide views of the surrounding. Breakfast for the resort is served here. It offers a multi-cuisine menu serving Continental, Thai and Chinese dishes. 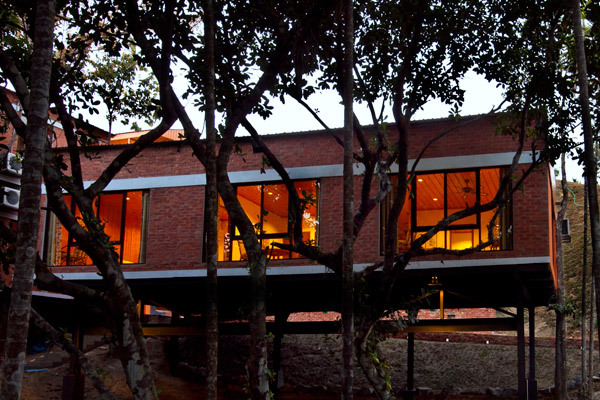 This restaurant on the picturesque Shari river is unique in its setting. The cuisine stresses Bangladeshi dishes as well as kebabs, etc. 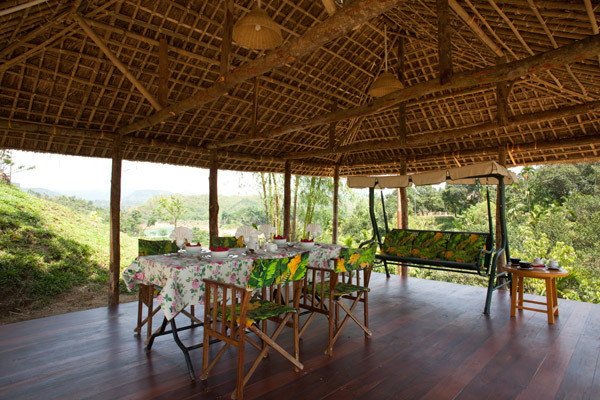 Set on a hill overlooking the mountains of Meghalaya, it is an exclusive lounge which can also be reserved for meals. 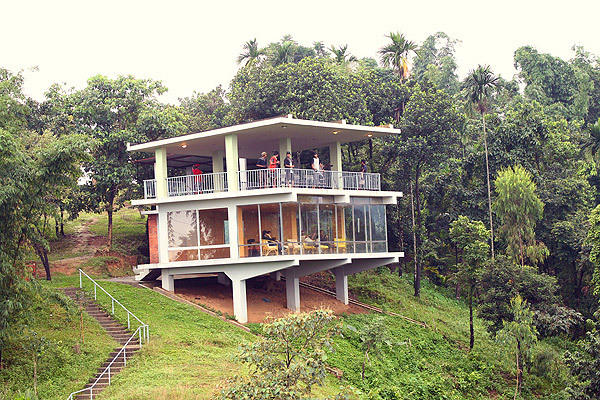 A view of the cloud adorned hills is an unique experience that guests will enjoy. The Horizon Lounge is at roof top level. It has open and an enclosed area. 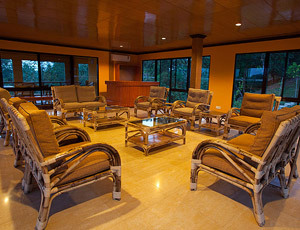 It is ideal for small meettings and events. The main meetting venue is at the River Queen. 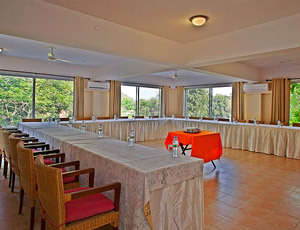 The meetting room can seat upto 60 person in different formats. 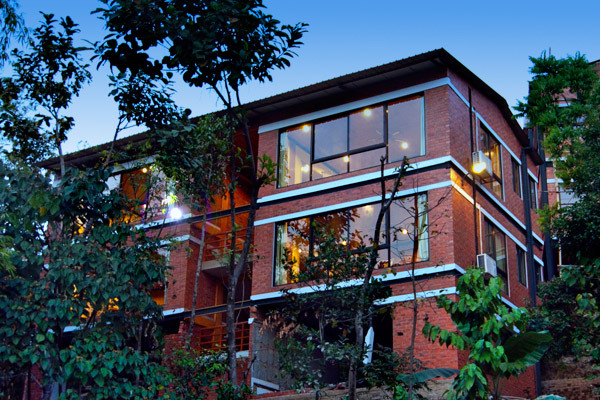 Set on a hill overlooking the mountains of Meghalaya, it is an exclusive lounge which can also be reserved for meals.